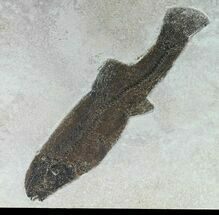 The Green River Formation of Wyoming produces some of the best preserved and most abundant fossil fish in the world. 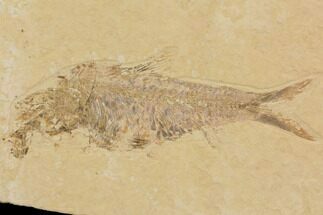 There are several operating commercial quarries in the area around Kemmerer, Wyoming producing these amazing Eocene aged (45-50 MYA) fish fossils. 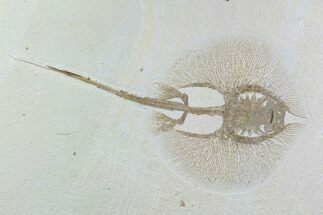 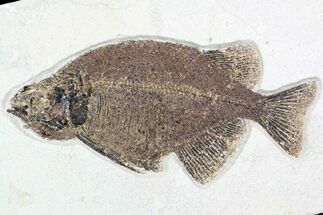 Some species like Knightia are common while some species may only surface once every few years. 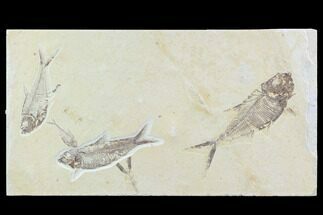 We work with several of these quarries to be able to have provide a diverse selection of Green River fossil fish for sale. 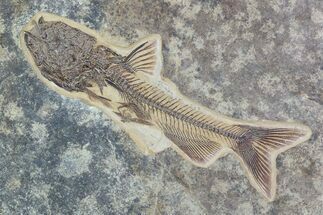 The Green River Formation records the sedimentation of a group of intermountain lakes in what is now present-day Wyoming, Colorado and Utah. 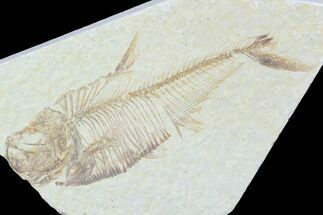 The largest of these lakes was known as Fossil Lake. 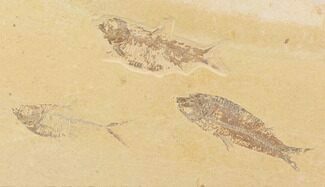 There are several commercial quarries operating in the Green River Formation. 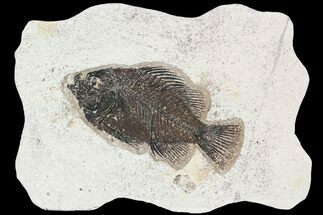 Many of them offer fee-dig opportunities to tourists and fossil enthusiasts. 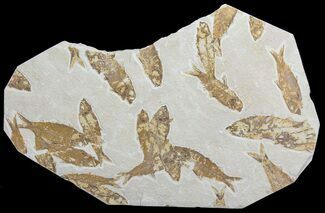 The fossil fish that we have for sale are purchased wholesale from these quarries. 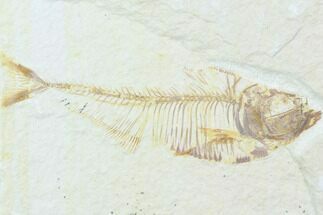 The fossil record indicates that this represented a sub-tropical to temporate region during the Eocene. 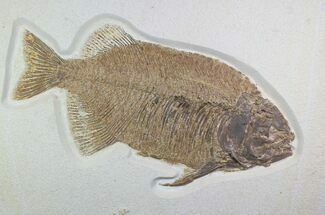 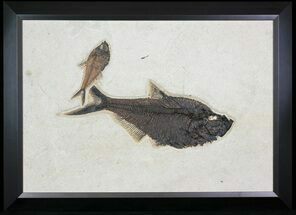 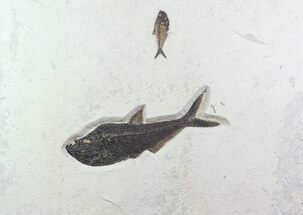 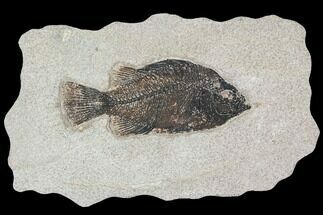 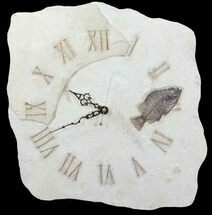 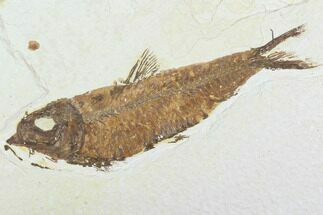 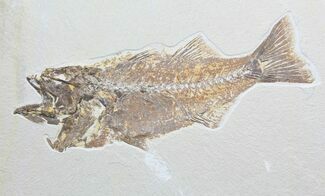 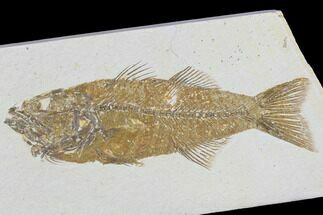 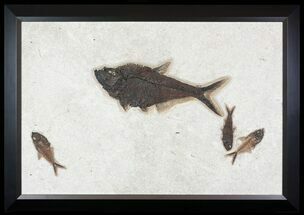 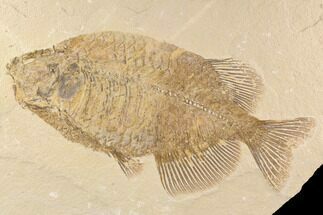 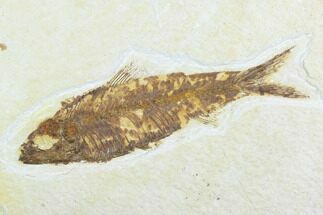 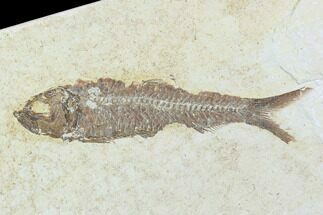 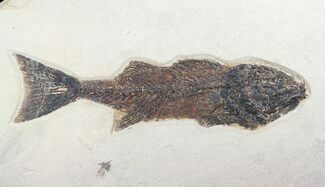 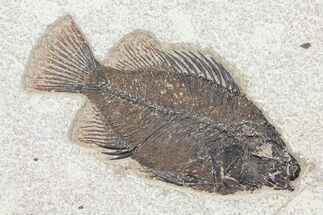 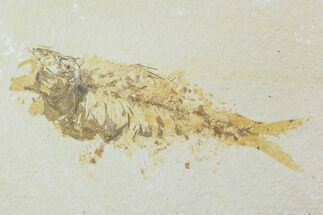 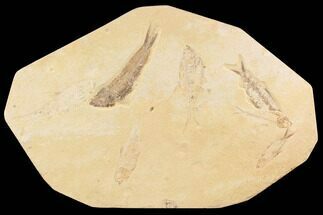 There are about 25 known species of fish from the Green River Formation but many are extremely rare. 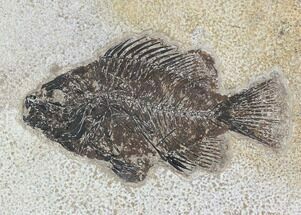 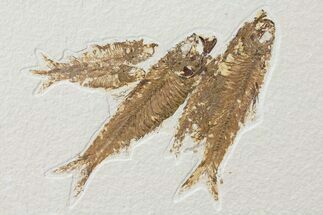 Knightia, Diplomystus and Priscacara are the most common species. 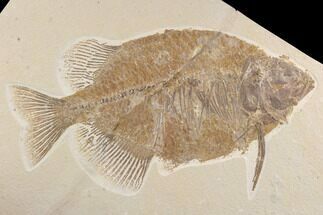 Phareodus and Mioplosus are uncommon and after that everything gets pretty rare. 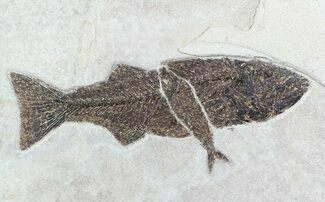 Besides fossil fish the Green River Formation also preserves exceptional plant material, insects and very rarely birds, mammals and crocodilians. 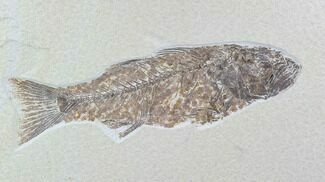 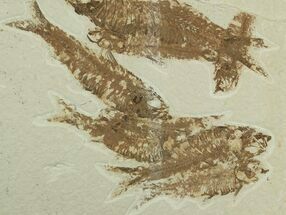 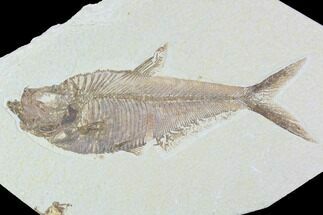 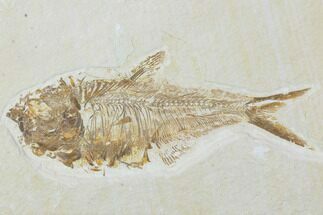 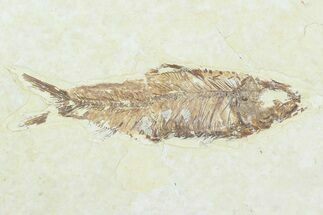 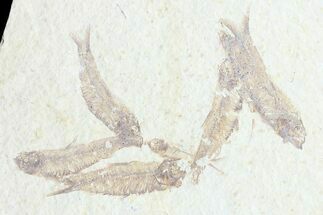 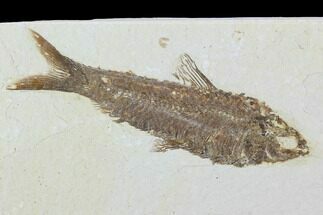 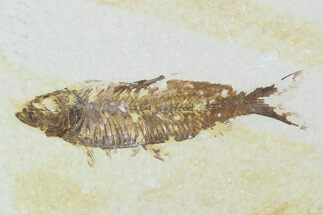 Most fossil fish quarries are from two layers. 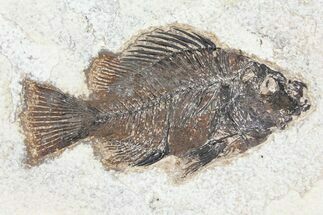 The split fish layer where the fish typically split out on the surface of the bedding plane and the 18-inch layer where they typically are buried under the surface of the rock. 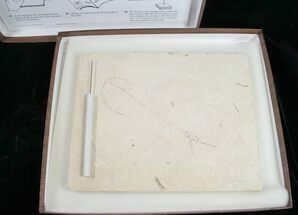 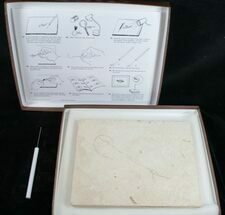 The 18-inch layer produces better preservation but requires much more time and skill to collect and prepare. 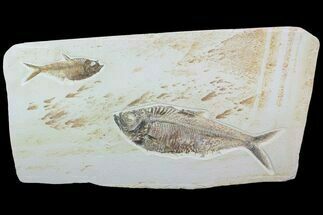 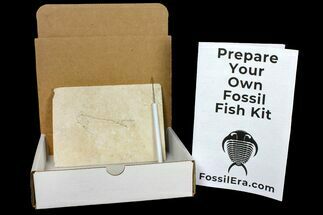 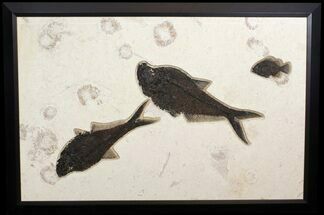 We offer fossil fish for sale from both of these layers but the 18-inch layer specimens are typically much more expensive due to the amount of extra time and effort involved.